Why use Predator MDC with Okuma CNCs? Okuma THINC support is included with the purchase of Predator MDC. 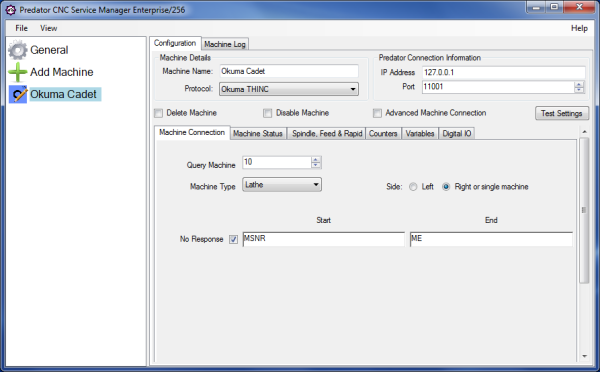 Leverage the power of Okuma THINC with Predator CNC Service to provide intelligent software based machine monitoring via an Ethernet interface. 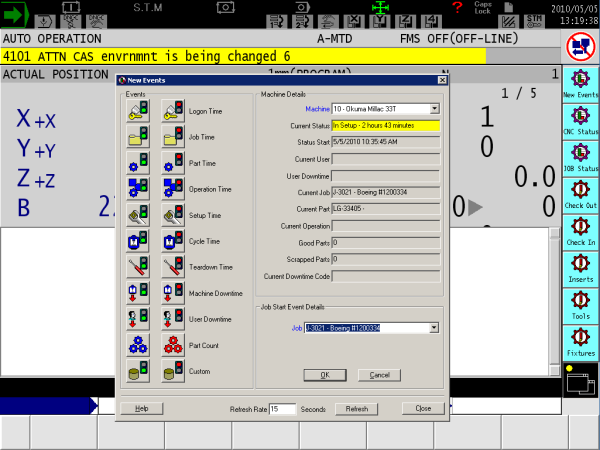 Predator CNC Service supports machine operation modes, cycle counters, variables, feeds and speeds for all makes and models of Okuma Mills and Lathes with P300, P200 and P100 CNCs. NOTE: Predator MDC supports Okuma THINC v1.09 or greater and the Okuma THINC option may have to be purchased or installed by an Okuma Machine Tool distributor.